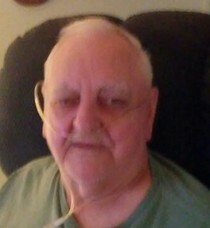 Obituary for Richard "Buck" James McSwain, Jr. | Davie Funeral Service, Inc.
Richard "Buck" James McSwain, Jr.
Richard James McSwain, Jr., 81, known to family & friends as “Buck”, passed away Friday, November 9, 2018, at Autumn Care of Mocksville. A native of Davie County, he was born May 22, 1937, the son of the late Richard McSwain, Sr. and Mildred Link McSwain, and the widower of the late Catherine Morrison McSwain who died in 2008. He was primarily a farmer, but had worked many jobs including construction and textiles. Prior to failing health, he enjoyed fishing and hunting and he had attended Calvary Baptist Church. Remaining to cherish his memory are nine children: twins Dean McSwain (Mary) and Jean Sheets (Steve), Cathy Henderson (Kenneth) and Terry Lankford (Deidra), all of Mocksville, Darrell Setzer of Lincolnton, Jerry Lankford of Cornelius, Dale Lankford of Nevada, Wanda Paolino and Sandra Lyons (Lacy), both of Salisbury; one sister, Joyce Carter of Cooleemee; plus many grandchildren, great grandchildren and great-great grandchildren. Others preceding him in death were brothers William and Charles McSwain. The family will receive friends from 5:00 until 7:00 Saturday at Davie Funeral Chapel. The Celebration of Life Service will be conducted at 2:30 PM Sunday in the funeral chapel with Rev. Robert Waugh and Pastor Rodney Barker officiating. The body will lie in state one-half hour prior to the service in the chapel. Interment and committal will follow at Cherry Hill Church Cemetery where he will be laid to rest beside his beloved wife. In lieu of flowers, the family requests donations in Buck’s memory be directed to Davie Funeral Service to help with final expenses. Online condolences may be posted at www.daviefuneralservice.com.